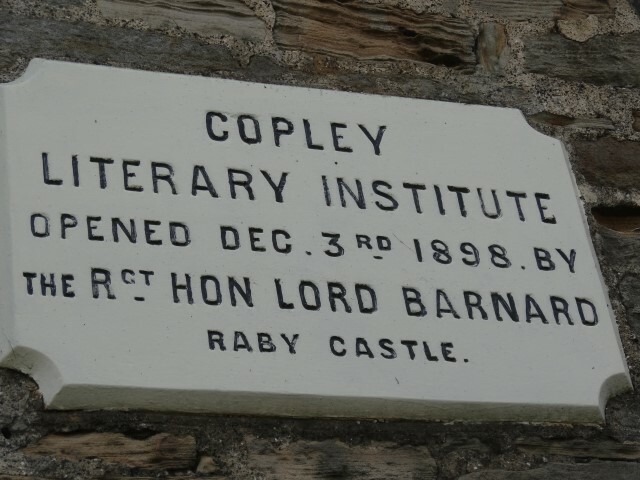 The Literary Institute was opened 3 December 1898 by Rt. Hon. Lord Barnard of Raby Castle. Pte. 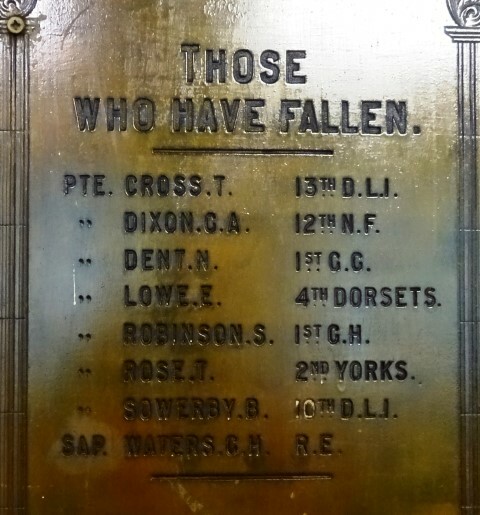 Cross T. 13th D.L.I. “ Dixon G.A. 12th N.F. “ Dent N. 1st C.G. “ Robinson S. 1st G.H. “ Sowerby B. 10th D.L.I. 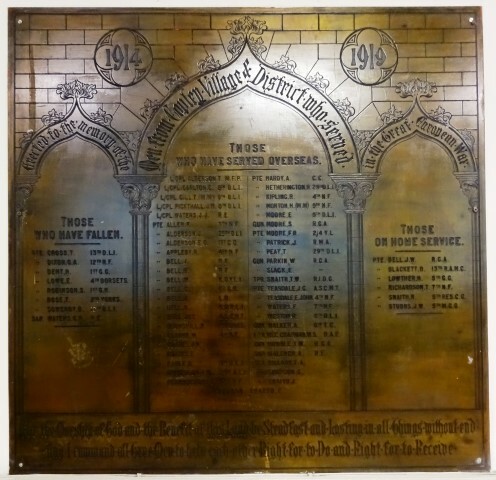 The date when the plaque was unveiled is unknown.